This blogpost is written by the Coursera Design team on a new partnership opportunity to become a designer at Coursera! Today, we are excited to announce our partnership with Designer Fund, a community of designers on a mission to help designers create businesses with meaningful impact. Through their Bridge program, we’re opening up applications for experienced designers who want to make an immediate impact on the Coursera experience. At Coursera we believe that something special happens when you bring a small team of designers together to tackle meaningful problems. We still have an array of products that are yet to be conceptualized, and our product designers get to create them from the ground up. 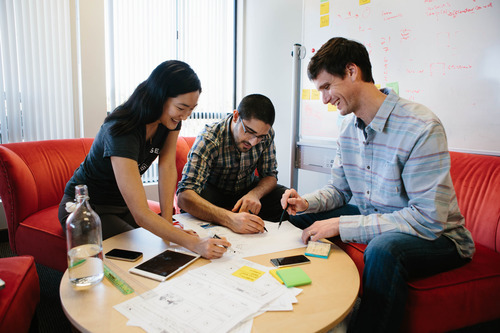 In doing so, they work closely with a cross disciplinary team of engineers, product managers, and business partners to bring Coursera’s vision of a world-class education for everyone to life. Potential projects our designers-in-residence will have the opportunity to work on include learning experiences, teaching experiences, and mobile platforms. If you’re interested in learning more about the Coursera design team and Bridge, check out http://designerfund.com/bridge/. Applications close on March 2nd, however we encourage you to apply by February 9th. Apply directly below and feel free to contact bridge@designerfund.com with any questions.